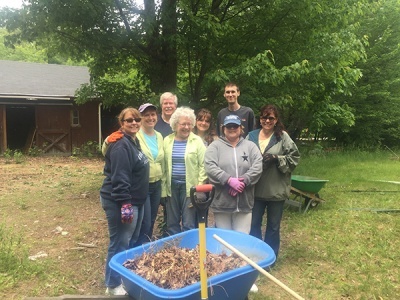 Verani Realty’s Londonderry agents spent a few days this spring helping local veterans through VeraniCARES. 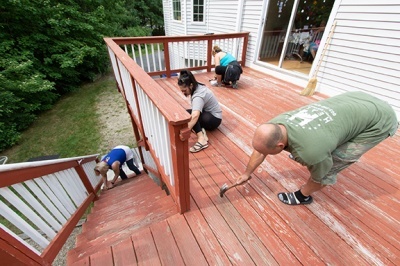 Ambassadors Lisa Brochu and Stacey Shannon, who represent their fellow agents on the VeraniCARES Board, contacted area veterans who needed help with home maintenance or yardwork projects. The effort was inspired by the mission of the VeraniCARES Fund and the companywide May Day Give-A-Thon, which empowered each of Verani Realty’s office to give back to local causes this spring. 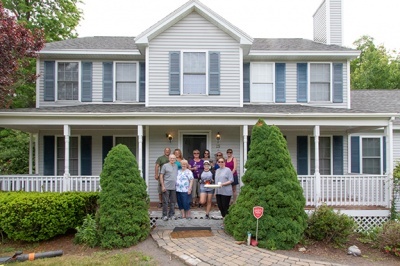 John and Anne Webster, who purchased their home through Verani Realty agents Brian and Michelle Healy, needed assistance with an extensive porch repainting project. It was a natural fit, and a team of agents arrived with all the supplies needed to scrape, prep and paint their front and side porches. 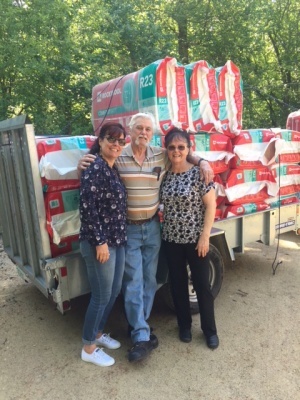 Agents delivered insulation and arranged for its installation for the Veilleux family, and spent a day doing yardwork and removing debris from another family’s property. A team of agents are headed up to Belmont in July to assist with a home renovation project for a local veteran. Stay tuned for photos and updates! Funds for all three projects are part of the companywide May Day Give-A-Thon, which distributed more than $55,000 worth of supplies, volunteer time and donations to nonprofits and local causes across New Hampshire and Massachusetts. VeraniCARES is funded by Verani Realty agents and staff, who have the option of donating to VeraniCARES by either payroll deduction or from sales commissions, and Verani Realty will match up to $10 per donation. To learn more about VeraniCARES and the May Day Campaign, click here.